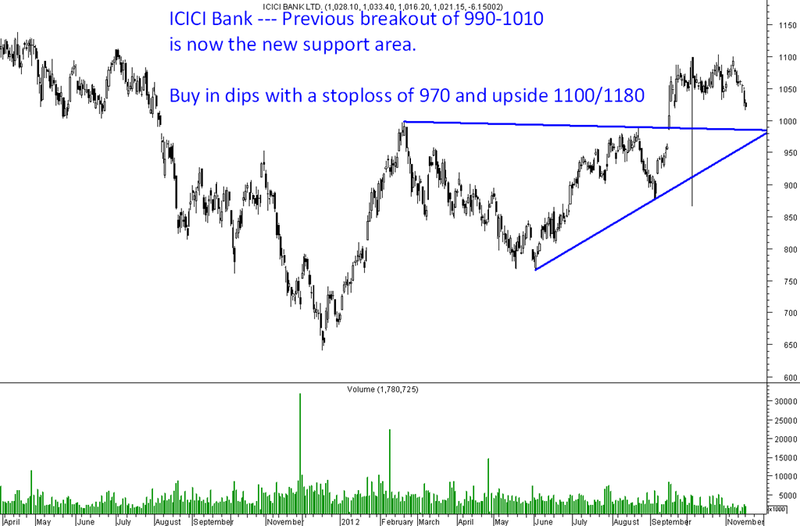 Re-test of previous breakout area of 990-1010 should provide support. Risky traders may accumulate with a stoploss of 970 or buy in any quick dips to 990-1000. One can expect a bounce back to 1100 again. Quick view on hinduja Ven. Godreh industries, Reliance, please suggest entry points/supports. Hinduja Ventures can book part at 480-500 and re-enter around 400-420 if comes. what is your view on Himatsingka Seide? Whats your view on aban offshore & hexaware as the stock has fallen considerably, whats your buy target. Have been surprised about the fall in hexaware after making new highs. Had a trading position earlier which was booked in profits. 90-100 could be a base for now. Is it a good time to enter in suzlon as the stock is in f&o ban will it jump by 1 -2 rs.And your view on apollo tyres seems to be a good stock since a dip from 100 to 80 its recorrecting will it go up? Yes seems more to go …. 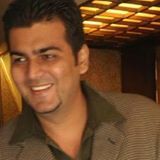 Ur service and tips onto this blog rocks..